I'm going to start off by stating the obvious here, but in case you missed it, I'm a gigantic Toy Story fan and collector. The original Toy Story is what started my love for Pixar back in 1995 and remains my favorite Pixar film (well, can I count the whole trilogy as one?) all these years later. 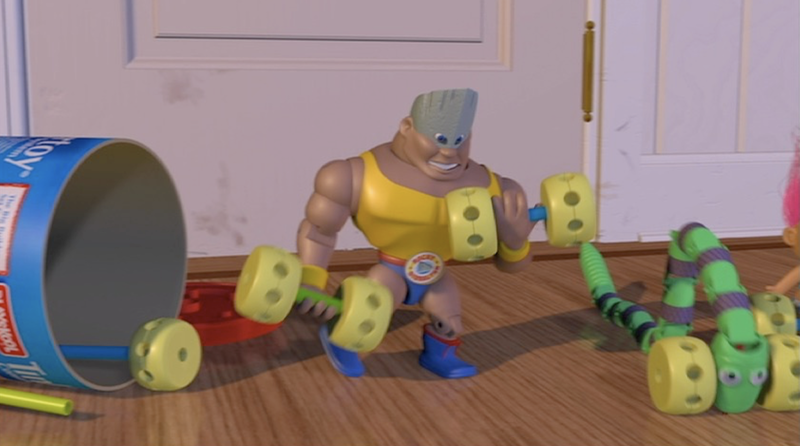 I started collecting Toy Story toys (now, to be specific, we're talking the full scale/movie size versions of the characters here) virtually as soon as the movie hit; but even as a five year old, I realized that a lot of Andy's toys weren't available and desperately hoped they would get made. The main characters were produced, sure—Buzz: ✅ Woody: ✅ Rex: ✅ Hamm: ✅ Slinky: ✅ Mr. Potato Head: ✅ Green Army Men: ✅ RC: ✅ ...and so on. Heck, even a full scale Mr. Mike came out—but what about all the other secondary toys? I got what I could, and still continue to get what's made available, but there are some seriously cool characters missing that I'm still hoping (almost 22 years later) get made one day. Over the more recent years, a couple gaps have been filled, but they've been few and far between. Like I was ecstatic when a full scale Zurg finally hit shelves, when we finally got a trio of Pizza Planet aliens and when an official "Toy Story Ball" was finally made. With the release of the "Toy Story Signature Collection" by Thinkway Toys (2009-2011), new and updated versions of the main characters were released, which was awesome, but I was still left clamoring for certain others. With all that said, here is my TOP 10 list of Toy Story toys that STILL need to be made! Note: I know some of these characters are available out there in roundabout ways (like obscure foreign limited releases, customs, etc. ), but I'm talking about wanting official mainstream (Disney Store/Parks, Mattel or Thinkway) definitive replicas of these characters. 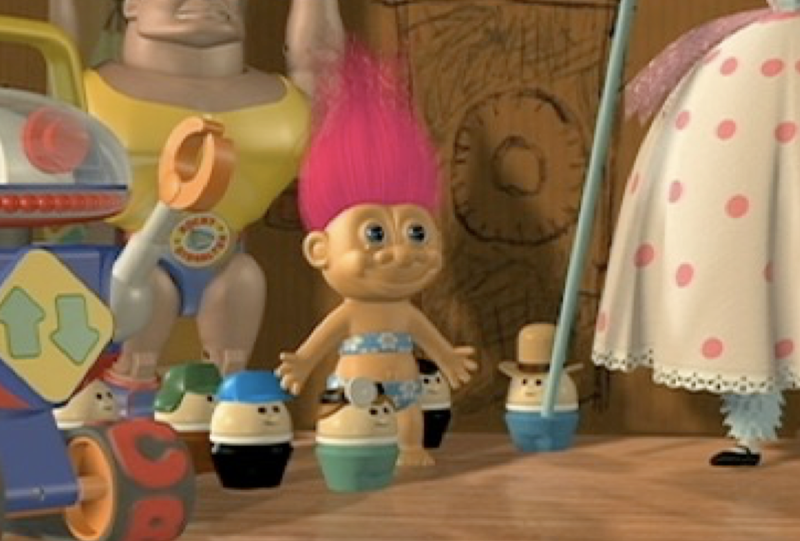 Yes, the Troll in Toy Story is based on the real life Troll toy (from the classic early 90's line) and yes there are plenty out there with pink hair that you can purchase and customize (which many fans have done). BUT there has never been an official release of Andy's troll with the flower bikini. I would love to see that release happen. There has never been a full scale Chuckles toy released. If you Google him, you'll see some pretty convincing customs, but none of them are official. The closest thing out there (which I ended up settling for) is the Disney Store plush version. I haven't given up hope quite yet though! "Look, I'm Woody! Howdy, howdy, howdy..." Everyone remembers the hilarious rubber shark that resides in Andy's toy chest (even if his screen time is limited to only a few seconds). Despite being a fan favorite (due to his one classic line), an official version of this character has never been made. Diehard Toy Story collectors often find and buy real life rubber shark toys to fill the gap in their collection, but it's just not the same. 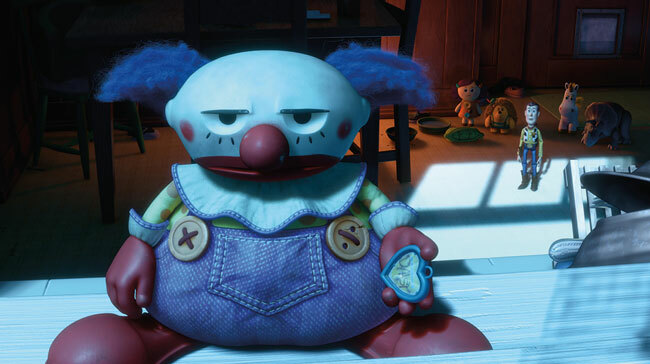 Rocky here has a decent amount of screen time in the first Toy Story, so I'm shocked that there has never been a full scale, mainstream release! I mean, come one. 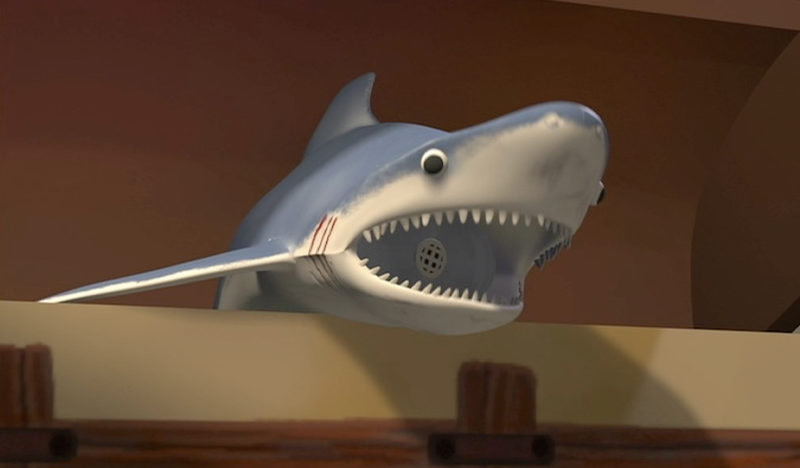 Along with Mr. Shark, he would be one of the easiest and cheapest Toy Story characters to produce. I have a 4" action figure of him, but it's so small that I don't even count it as a replica. 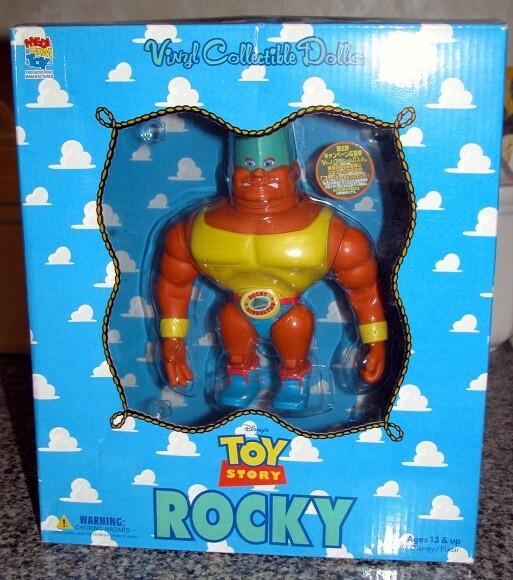 Some fans fork out a few hundred bucks for the Japan exclusive Medicom vinyl Rocky figure, but even that isn't completely to scale (it comes closer than the other figures out there of this character, but it's still too small). Mr. 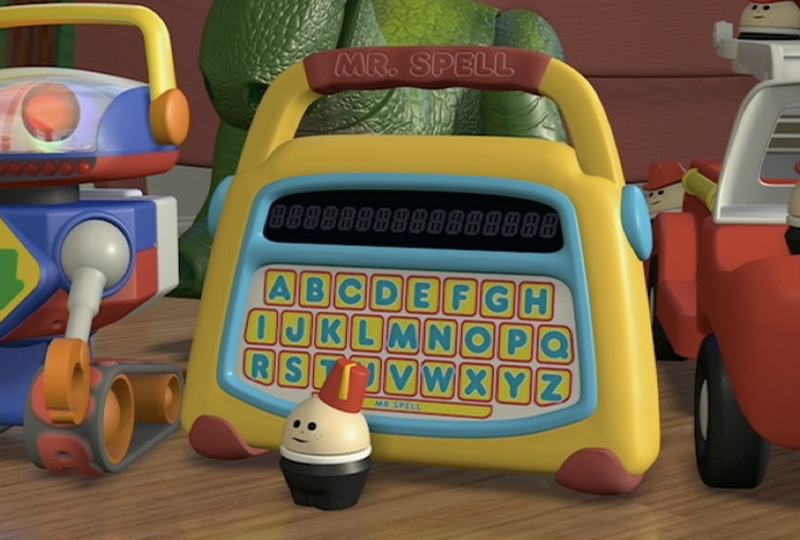 Spell is another one of those secondary Toy Story characters who has become pretty iconic. 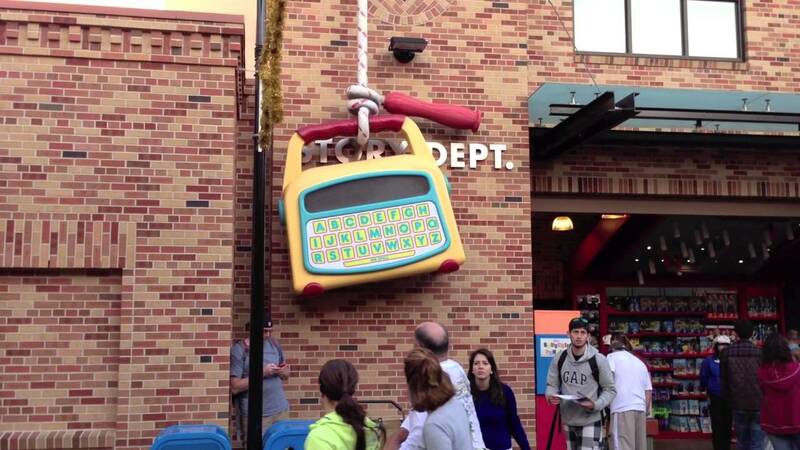 There's even a giant one hanging from a "jump rope" at Hollywood Studios in the Pixar Place section of the park! Yet, once again, there has never been an official full scale release of this character. This is a toy that is fun, educational AND a Toy Story character (not to mention it has lights and sounds). If you ask me, that all sounds super marketable! I know Mr. 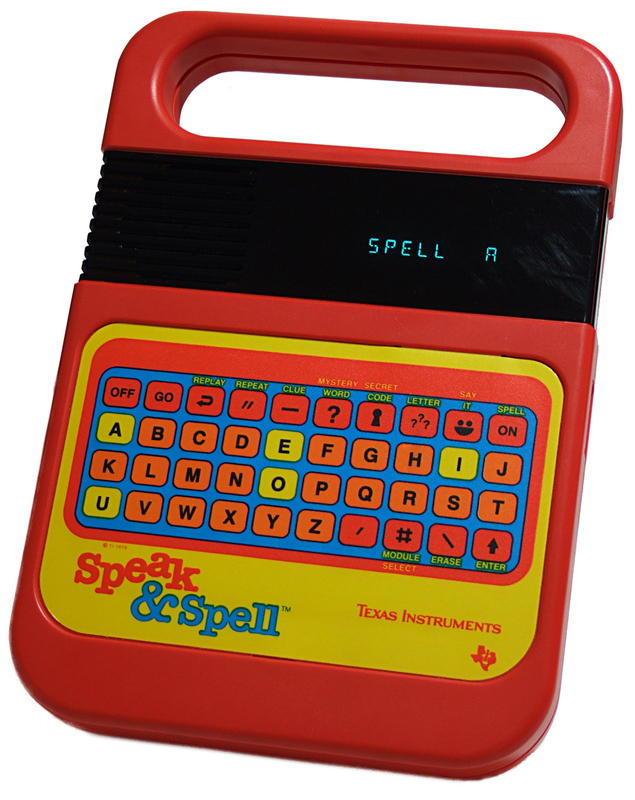 Spell is loosely based on the Speak & Spell toy from the 80's, but this design is completely Pixar's own creation. It needs to be made. There are several official versions of Bo Beep out there. I even have one of them (which is the best one right now in my opinion—the Thinkway Toys Bo Peep with sheep from 1995). Then how is she on this list you might ask? For me, I still don't feel like any of the Toy Story Bo Peep toys out there have really captured the actual character from the film. They all just just remind me of some kind of standard Barbie type doll. 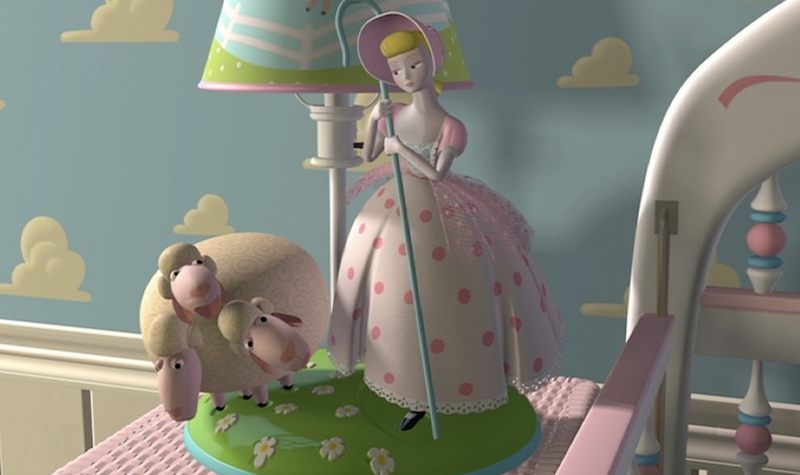 If you remember, Bo Peep and her sheep aren't technically toys at all; she's made of porcelain and is actually a part of Molly's lamp. I would love to see an actual porcelain (or at least a quality vinyl) version of her and her sheep with a working lamp—base and all! How cool would that be? OK, this might be cheating since these are two separate characters—but hey. I had to narrow it down to a Top 10 and, since Snake and Robot are always seen together in the film, I took the liberty to lump them under one. I have ALWAYS wanted these two and STILL hope that they will be made. Even if they're a limited release (how cool would a 2-pack be?) at a convention or whatnot, a release needs to happen. I can see Robot's lights and hear his signature sounds now! 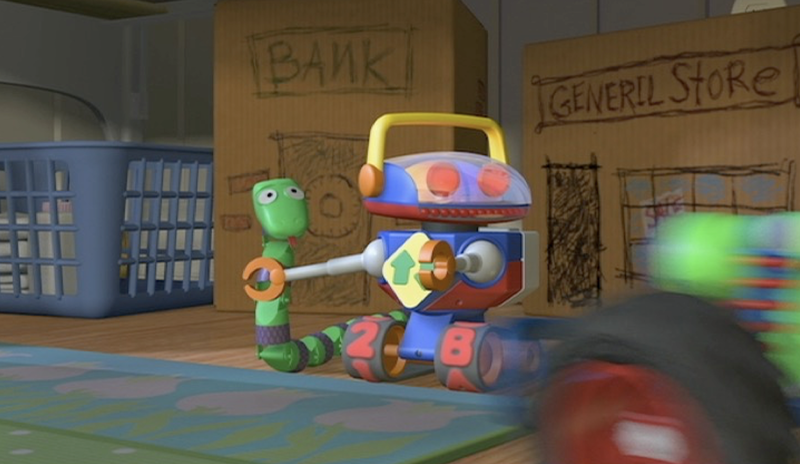 And as far as Snake, he literally would be the easiest toy to produce. Just make it happen people. 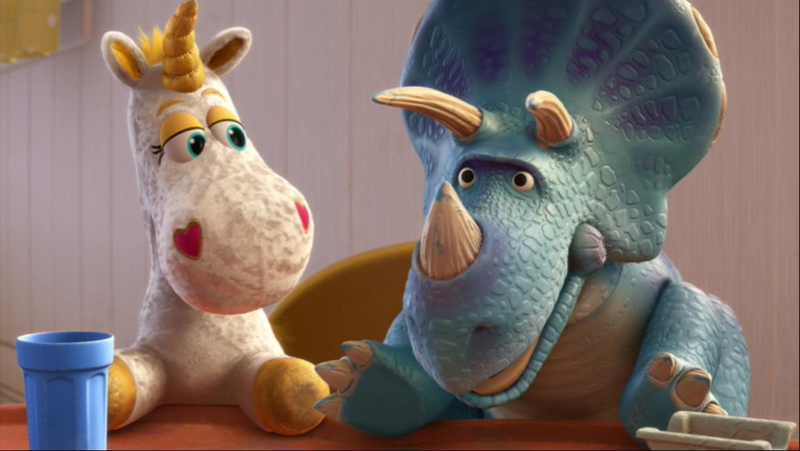 That's right—Trixie, one of the main characters from Toy Story 3 (and star of Toy Story That Time Forgot as well as featured in all the Toy Story Toons) has never seen a full scale/replica release. A couple small scale action figures? Yes. But none that are even close to being in scale with the film. Currently I just have a Disney Parks plush version as a filler to at least have the character represented in my collection. I believe this release is inevitable, even if it takes a few more years. This one bothers me a lot. Here's another simple, easy to make toy (as easy as Mr. Shark or Snake would be) that would make a LOT of Toy Story fans happy; yet for some reason, he remains unproduced after 18 years! Yes, a rubber full scale Wheezy squeak toy was available for a brief time at the Disney Store overseas in 1999 (limited to the European and Japan markets). 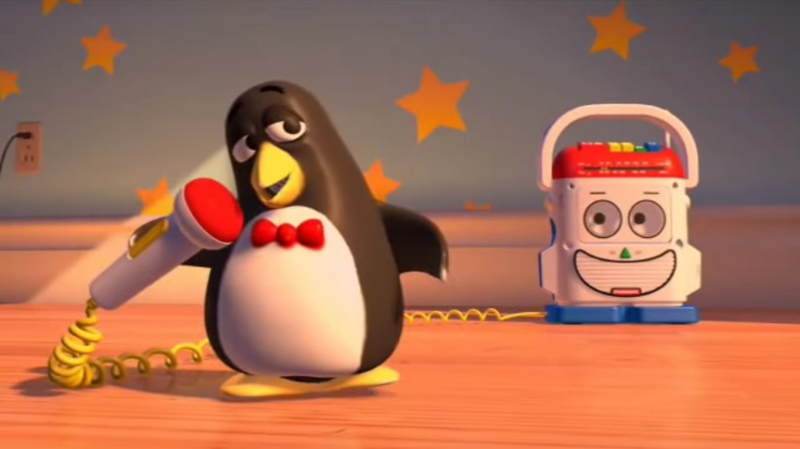 Apparently that same Wheezy was also available at select shows of Toy Story 2 "On Ice" (again, overseas). However, how many people actually have him out there? A handful? I know some fans who are lucky enough to have him (the ones who paid $100+ for him on eBay), but let's be real. You can barely even call that a release. 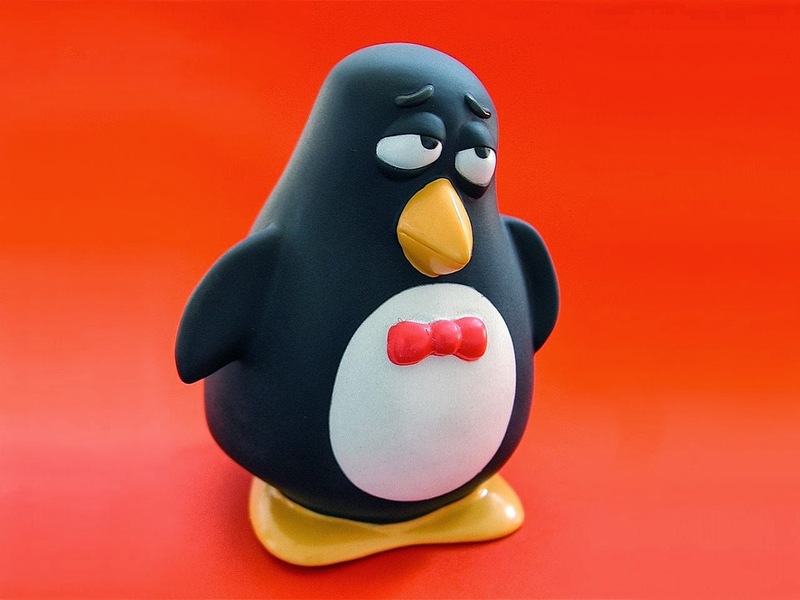 If Disney Parks released a basic rubber Wheezy squeeze toy, that thing would FLY off the shelf. Why are they missing that great opportunity? Wheezy without a doubt needs to be made. 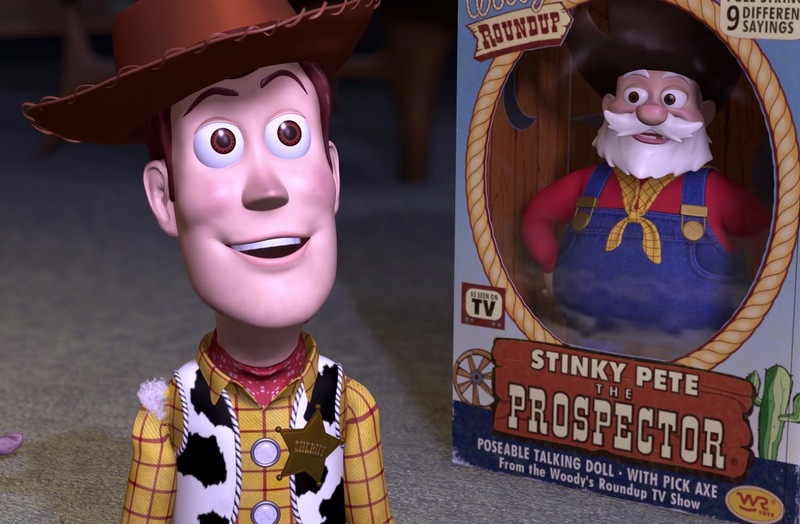 You've made it to my #1 Toy Story toy that needs to be made...That's right, it's none other than Stinky Pete the prospector! This one still baffles me; another main character who got completely snubbed. Are they afraid that he'll suffer the same fate as in the film and become a shelf warmer? That no one will want to buy him? Well I know that there are thousands of Toy Story fans out there who wouldn't hesitate getting him for a second if he was released. Why not make him a limited release if that's really the worry? If that's not the reason for him not being released, what is? So many questions. And yes, once again, I know there is a full scale version of Stinky Pete from the company Young Epoch, but that is yet another Japanese exclusive, is very limited and sells for upwards $600 or more. Let's please just make Stinky Pete widely available in the US for all us dedicated fans. How funny is it that the one toy with packaging seen in the film is the toy that never gets a real release? HONORABLE MENTIONS: Lenny, Troikas, Roly Poly Clown, Stretch (the purple Sunnyside octopus), and Sid's mutant toys. That's it everyone! There we have my top 10 Toy Story toys that need to be made. 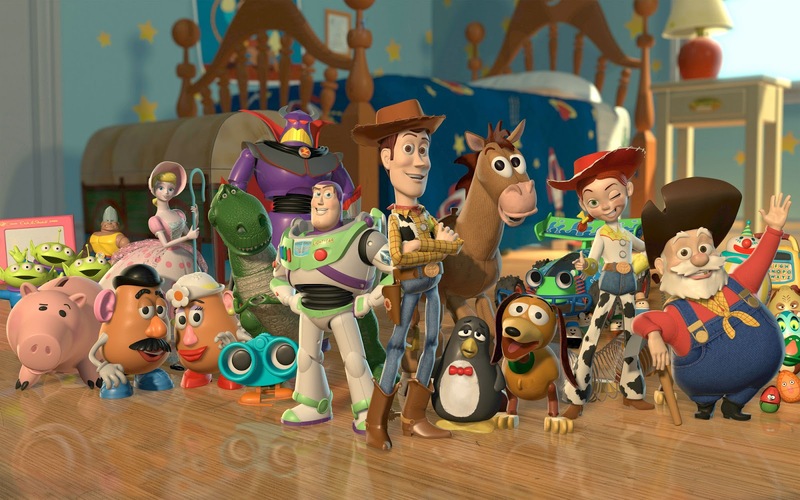 With Toy Story 4 coming in 2019, let's just hope a Toy Story toys resurgence will bring about some of these characters. What do you think of my list? Do you agree? Who would you add or take away? I can't wait to hear all your thoughts in the comment section below.